Mayor wants to give the Police Commissioner the authority to restrict when and where groups who have fouht in the past can protest. 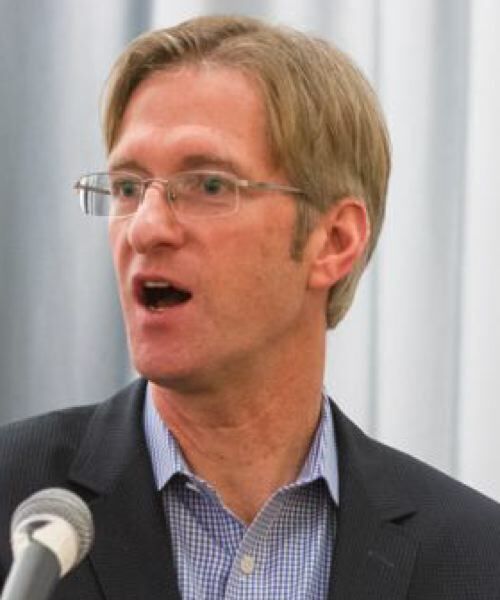 Mayor Ted Wheeler will introduce his promised ordinance to reduce violent protest on Thursday, Nov. 6, when the City Council will take testimony on it. Wheeler first said he would intoduce the ordinance on Monday, Oct. 15, following weekend downtown clashes between the right-wing Patriot Prayer members and left-wing counter-protesters. At the time, Wheeler said he would propose giving the Police Commissioner the authority to restrict where groups who have clashed in the past may gather and demonstrate. The ACLU of Oregon has called the concept an unconstitutional restraint of free expression. But Wheeler says it is necessary to prevent the frequently violent confrontations between the two loosely-affilated groups that began shortly after Donald Trump was elected president at the November 2016 general election. The repeated clashes have generated national news coverage, with conservative outlets criticizing Wheeler's management of the police and saying Portland streets are not safe for law-abiding citizens. "Portland is one of the most vibrant, livable and economically prosperous cities in the U.S, and we have a robust history of peaceful demonstrations — but in recent years we've become a magnet for agitators either with a history of -- or an expressed intent to be violent," Wheeler said when he announced the introduction of the ordinance. "We created common-sense, content-neutral legislation to protect the safety and property of the public." "The Commissioner in Charge, through written orders, is authorized to impose upon planned demonstrations in the City reasonable, content-neutral time, place, and manner regulations prior to the demonstration event. Each written order by the Commissioner in Charge shall make findings demonstrating the necessity for each instance in which time, place, and manner regulations are imposed. The written orders of the Commissioner in Charge shall be imposed to protect the public's use and enjoyment of public spaces, to coordinate multiple uses of a limited public space, to assure preservation of public and private property, to protect the lives and safety of people in the City, and/or to prevent conduct that is dangerous or unlawful." The ordinance then outlines findings the police commissioner much make and creates penalties for anyone who violates the restrictions that are issued. The ordinance has an emergency clause, meaning it will take effect immediately if unanimously approved by the council. Commissioner Dan Saltzman is the only other council member to publicly support it so far.